Welcome to Dedinje - the regal and residential area of Belgrade, one of the most beautiful neighbourhoods in Europe. Dedinje is surrounded by parks, forests, beautifully crafted gardens and Villas that represented Serbian and European architecture throughout the ages. In the midst of all this wonder, we have created the unique Villa Jelena especially for you. 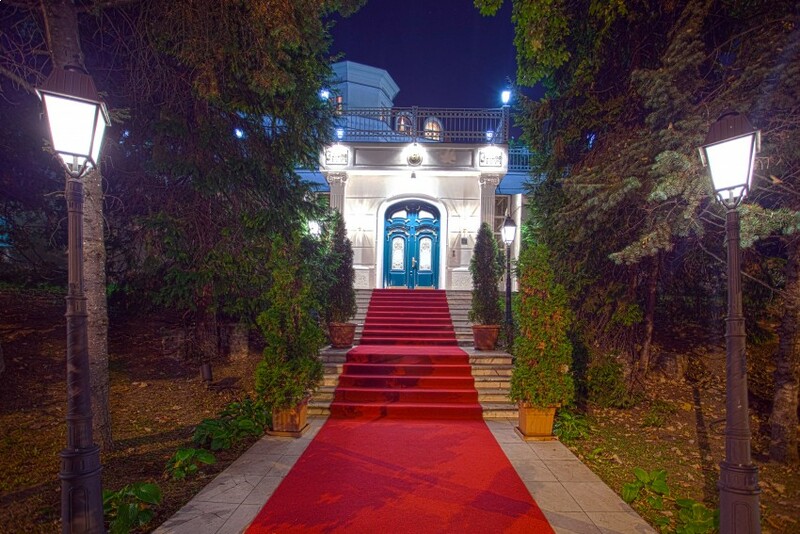 Villa Jelena combines the tradition and prestige of old Belgrade, with famous Serbian hospitability and the highest level of personalized service. Depending on personal likes and dislikes, our guests can choose to sample carefully selected international cuisine dishes or our traditional Serbian menu. For guests who have certain dietary requirements our chefs will accommodate you to prepare any dishes you desire. Club “Jelena” offer complete services in organizing a wide variety of events such as press conferences, presentations, fashion shows, art exhibitions, promotions, Christmas and New Year celebrations, children’s birthday parties, private parties, themed nights and many others.